The basic principle of the HUBER SRT system is drying of sewage sludge in a glasshouse using the incident solar radiation. 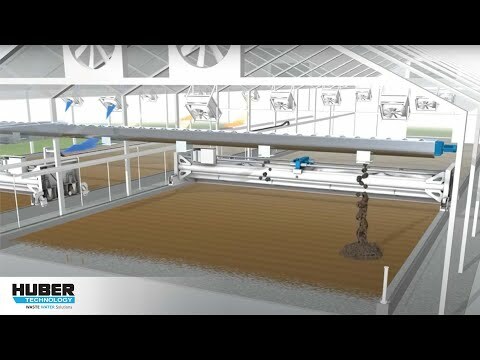 What makes the HUBER SRT system special is the HUBER Sludge Turner SOLSTICE®, which performs spreading and granulation of the sludge in the greenhouse and aeration, turning and mixing of the sludge bed. The HUBER Sludge Turner SOLSTICE® can backmix sludge.